The Violin Shop, founded in 1982, quickly established a reputation as an authority in providing exceptional string instruments and bows to amateurs, professionals, and students of all ages. David is a Violin & Bow Maker from St. Louis, Missouri with over 30 years experience in the making and repairing of string instruments and bows. He has studied with several notable makers from the American Federation of Violin and Bow Makers and spent three years in Atlanta working under a German Master Violin Maker. In 2001, He established David Frederick Violins, which focused on the making of new instruments and bows while assisting shops throughout the Midwest and Southeast with restorations. 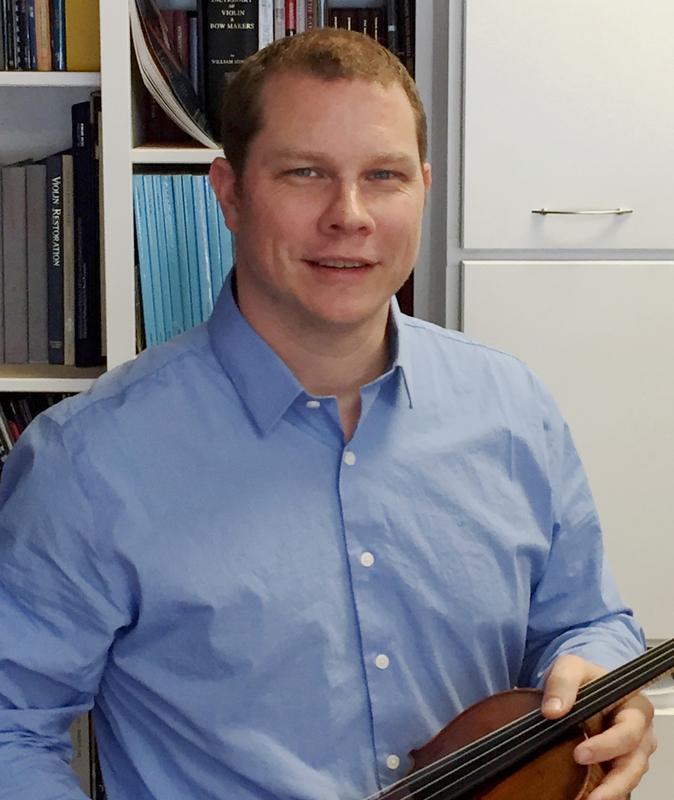 David joined The Violin Shop in Lincoln, Inc. in 2010 to take over workshop management. Finally, in 2016 He was installed as President of The Violin Shop in Lincoln, Inc.
David’s instruments are enjoyed by an international clientele. Commission a David Frederick instrument of your very own! 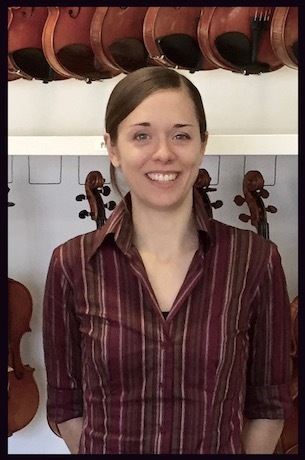 Michele is a Violin Maker from Youngstown, Ohio. A graduate of The Chicago School of Violin Making, she also holds a Bachelor of Music in Cello Performance from Ohio University. Michele has produced several instruments that are being enjoyed by players across the Midwest. She also has the distinction of having one of her violins chosen as Best Violin by a Maker under 30 in the 2014 Art of Sound International Violin Making Competition. Commission a Michele Bartos instrument of your very own!